I spent part of the Christmas break reading ‘The Scots: A Genetic Journey’ by Alistair Moffat and James F. Wilson. In this excellent book Moffat and Wilson review the recent work of population geneticists in light of the fragments of archeological evidence and, from the ancient period onwards, in terms of historical and literary evidence. What follows is a distillation of some of the notes I took while reading the book and a few snippets that I have gathered from elsewhere. If you see anything you disagree with please leave a comment and set me straight. The peopling of the world in general and of Scotland in particular is a subject that has long fascinated me. As a result I have previously been disappointed with history books. They tend to focus almost exclusively on comparatively recent history, on battles and kings, running out of steam well before they start to discuss the period that I am most interested in, the mesolithic. This is entirely understandable for the hunter gatherers of the mesolithic did not many durable artefacts for us to discover. All has changed in recent years, for not only have several concrete traces of the passing of the shadowy peoples of the mesolithic been uncovered, their genetic legacy has been revealed using modern DNA analysis techniques. The earliest human remains that I am aware of having been discovered in the British Isles are bone and teeth from the dizzyingly early date of around 500,000 BC (Boxgrove, Sussex). These were not modern humans like us, homo sapiens, rather they were left by earlier homonins of the species homo heidelbergensis. Flint fragments have been discovered from even earlier, 700,000 BC (Pakefield, Suffolk), close to three quarters of a million years ago. The occupants immediately prior to ourselves, homo neanderthalis, are believed to have reached the British Isles, or the northern tip of continental Europe as it was then, around 100,000 years ago, leaving behind evidence for archeologists to uncover in the south of England. In recent years the popular image of neanderthals has greatly improved; they were formerly believed to be unthinking brutes, now we credit them with culture and technology as sophisticated as that of our own distant ancestors, and by inference with minds as creative as our own. Indeed until recently the mainstream view was that the people of prehistoric times were little more advanced than apes. I would not be surprised if in the coming years we also revise our views of earlier homonins and begin to ascribe to them at least some of the traits that we used to jealously reserve for our own kind. Many years ago I visited Olduvai Gorge in Tanzania (now re-named Oldupai Gorge), a site that has been associated with a number of significant archaeological finds. What struck me most as I walked round the small museum on the site was a stone chopping tool dated to around two million years old, reputed to be the oldest human artefact in the world. Even more spectacular was the discovery of the fossilised footprints of a band of early humans which have been dated to 3.75 million years old. As I considered these finds I realised that we are at leading edge of literally millions of years of human history, and that we are in the privileged position of being among the first generations to have any real concept just how much has gone before. Against this backdrop of millions of years – thousands of millennia – the history of our own species is but the blinking of an eye. The earliest modern human of our own species, homo sapiens, appears in the fossil record 150,000 years ago, and all humans currently alive can trace their ancestry to a small population who lived in Africa around 70,000 BC. Around this time it is believed that a catastrophic event almost wiped homo sapiens from the surface of the planet. The massive amount of ash ejected by the eruption of the Toba super volcano in Indonesia led to between six and ten harsh volcanic winters. A small number of our ancestors, perhaps only a few thousand, managed to cling on to life in the Rift Valley and it is from these people that all modern humans are descended. A small band of these survivors embarked on a journey which would eventually result in the world being fully populated by modern humans. They walked north and sailed across the Red Sea to arrive in Arabia around 60,000 BC. There is some evidence that they mated with neanderthals prior to their dispersal along the Indian Ocean coast. Their eastwards migration was extremely rapid, taking only around 2,000 years to reach New Guinea and Australia. Hence the culture of the Australian Aboriginals, of which the early white settlers were so contemptuous, was 58,000 years old, ten times the biblical age of the earth. In light of the very rapid eastwards migration it seems surprising that it took these early people 20,000 years, until around 40,000 BC, to get from Arabia to Europe. Particularly so when some evidence suggests that they were also established in North America more than 50,000 years ago. The reasons for these contrasting rates of colonisation are likely climatic. From around 120,000 years ago the world was in the grip of an ice age, with ice sheets covering most of what is now the UK and extending down into northern Europe. So much of the earth’s water was locked up in the great ice sheets that sea levels were much lower than they are today and it was possible for early people to walk over a land bridge from Siberia to Alaska from where they spread southwards to colonise the Americas. A similar land bridge connected what is now Britain with continental Europe and was used by neanderthals to access the southern margins of Britain. The neanderthals were hardier than us, adapted to a cold climate. Homo sapiens spent the last ice age sheltering in what are termed the Western Refuges in southern France, where they left striking evidence of their occupation in the renowned cave paintings of Lascaux (15,000 BC) and Chauvet (25,000 BC). 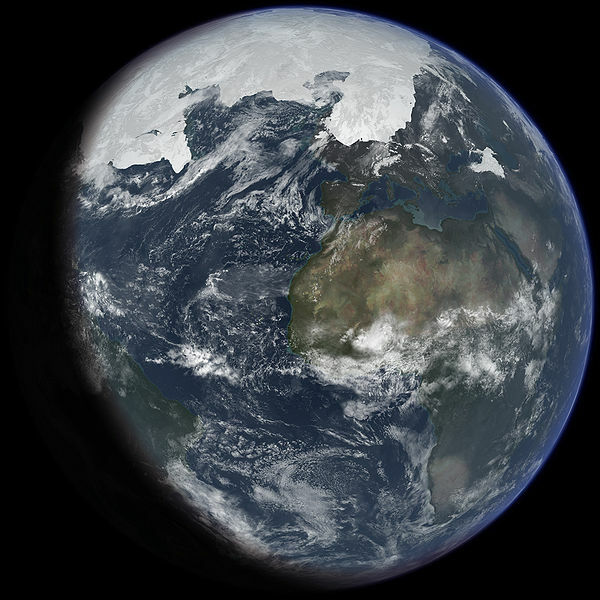 The climate warmed and the ice began to retreat around 15,000 BC. As soon as vegetation established itself animal herds would have seek out the fresh grazing and people would have followed them. By 12,000 BC the southern Hebrides were clear of ice and we can infer from the discovery on the Island of Islay of Ahrensburgian arrowheads dated to 10,800 BC that people journeyed there by boat, most likely for the purpose of hunting, perhaps reindeer were their quarry. This was no isolated expedition; similar artefacts have been found on Tiree, Jura and Orkney. I was particularly impressed by this finding, for it shows that humans visited Scotland prior to the final part of the Ice Age, the Loch Lomond Readvance. The Loch Lomond Stadial started around 9,400 BC when the collapse of massive ice dams in Canada resulted in a discharge of fresh water sufficiently large to stop the Atlantic Conveyor in its tracks, shutting off the warming influence of the Gulf Stream and plunging northern Europe back into the grip of the ice. When the conveyor re-established itself the warming was rapid, occurring over perhaps only over a single decade. To a large extent the glaciers of the Loch Lomond Readvance and the catastrophic floods resulting from their melting defined the shape of the landscape we see around us today, carving the coires and steep-sided glens of the west coast mountains and transporting vast quantities of material – sand, gravel and boulders – and depositing them in glacial landforms. The first evidence of post-glacial habitation are flint tools and hazlenuts found at Cramond in Edinburgh, dated to 8,600 – 8,200 BC, co-incident with the beginning of the current ice-free period, the Holocene interglacial. Moffat and Wilson speculate that sufficient resources may have existed at this site to sustain year-round living, though the people lived in relatively portable shelters of wood and animal hide. Not all shelters from this period were like this, some were much more substantial such as that discovered at East Barns near Dunbar and dated to 8,000 BC. These people may have lived primarily through hunting and gathering but there is some evidence from this period that hints at the existane of the existence of a mature trading economy, such as the antler processing facility at Starr Carr in Derbyshire (8700 BC) where the sawn-off antler masks, often sported by the presenters of television programmes about prehistory, were found. These early people left their mark on the nation’s DNA, bringing with them from the Western Refuges three male Y chromosome markers that together are today found in around around 5 % of the modern population of Scotland. While the inhabitants of Scotland were enjoying what may well have been an idyllic egalitarian life of boating, bothying and plentiful leisure time in a bountiful environment from which all their needs may have been satisfied, elsewhere the technology that was to change the world was being developed. The accepted date for the development of agriculture in the Fertile Crescent (the present day Middle East) is around 9,000 BC. This marked the start of the neolithic period and the beginning of the end for the mesolithic. The first trace of the arrival of such methods in Scotland is from 3,900 BC in Balbridie in Aberdeenshire, where the remains of great halls designed to house both humans and their livestock were uncovered. It is believed that agricultural methods were brought wholesale rather than piecemeal; stock, tools and seeds were all brought by skilled agriculturalists across the North Sea at the same time, rising sea levels having made Britain an island by this time. DNA analysis reveals that around 70 % of Scots men are descended from these early farmers, from immigrants whose DNA markers originated in the Near East less than 10,000 years ago. The reason that the farmers came to dominate over hunter gatherers is likely a consequence of the new foods available to them. Dairy products and cereal crops would have decreased weaning time and therefore increased birthrate – lactating women find it harder to conceive. Some studies have shown that early agriculturalists were smaller than hunter gatherers of the same period, suggesting that they may have been disadvantaged nutritionally. Even so their higher birthrate would still have allowed them to outbreed mesolithic peoples. We saw above how the climatic deterioration that followed the eruption of the Toba super volcano was so decisive in shaping human history. A similar though lesser event occurred in 1159 BC when Iceland’s Hekla volcano erupted. This is the big brother of Eyafjallajokul, the volcano whose eruption which caused so much travel disruption in 2010. This eruption occurred in a climate that had already begun to deteriorate from a climatic optimum between 2,000 and 1,500 BC when summer temperatures were around 3 C higher than today. The land had been deforested for agriculture by humans and this, combined with the wetter and cooler climate, led to the spread of blanket peat. The volcanic winter that followed the Hekla eruption is likely to have been the final straw that led to depopulation of Western Scotland apart from a small number of more favourable refuges. Moffat and Wilson propose that the entire western seaboard was depopulated and once the volcanic winter ended, it was repopulated by peoples from Ireland. Hence from the 1st millennium BC, both landscape and language – peat and Gaelic – were set and similar to that which persisted up to Culloden.Edit 05/05/12. This week’s Nature has a lot to say on the topic of the peopling of the globe. Most of the earlier assertions quoted above are the subject of active debate between the archeologists and the population geneticists. Very interesting read.I seem to remember a passage somewhere in a book that Australian aboriginals would have had to have sailed to Australia from a fair distance off as they do not seem to be related to any of the nearest island group inhabitants.Pretty good going in rafts or boats 58,000 years ago.They have no culture or interest in ocean sailing now.They were the most advanced stone age culture at that time though. must have had intellegent thought processes going onto acheive that.Even island hopping its still a huge leap of faith across an empty horizon to get there. Excellent summary and interesting to read. There is a set of genetic markers which can be traced along a coastal route from Africa to Australia. Some small, ethnic groups in India and Malaysia still have these markers. Trouble is, they got swamped by late comers from the north, so it looks like there’s a gap to sail across. Folks got to Australia fast because the whole route was good for the technology they had. Adapting to life on the steppes took very little change to existing technology, so eastward spread across central Asia was also fairly rapid. By contrast, the forests of NW Europe, which offered spread out resources instead of large herds, took much more innovation, or so I have read. Great post. Thanks from a Scotophile dwelling in Southwest England. I wondered if you know Oppenheimer’s ‘The Origins of the British’, and David Miles’ ‘The Tribes of Britain’? Useful preface/addenda to the work you mentioned.